Friday, April 5 and Saturday, April 6, at the Renard Woman: 48H BD, comics are in celebration: to discover the selection of comics at 2 euros and our favorites. Saturday, April 6, at 14:30, in the Salle Saint-Joseph (near the Tourist Office): Meeting with Murielle MAGELLAN on the occasion of the recent publication of "Changing the direction of rivers" (Julliard editions). In partnership with AVF MONTAUBAN. Wednesday, April 10, at 7 pm, at the Renard Woman: Meeting with Christian GARCIN and Tanguy VIEL on the occasion of the release of: "Traveling; A world tour without an airplane "(JC Lattès editions). Booking essential with Confluences. In partnership with the association Confluences. Thursday, April 11, at 19h, at the Renard Woman: Interview-interview animated by Quynh MARTIN: "The love and the couple according to Lacan". In partnership with the Association Cause Freudienne - Midi-Pyrénées. Saturday, April 13, from 10h 19h, to the Renard Woman: DISQUIRE DAY, the party of the vinyl: Come to discover the selection of unreleased and rare discs put on sale only this day. In partnership with CALIF. Tuesday, April 16, at 19h, at the Renard Woman: Meeting-dedication with Franck BOUYSSE on the occasion of the recent publication of "Born of no woman" (editions of the Manufacture of books). Wednesday, April 17, at 7 pm, at the Médiathèque Pierre Sourbié, Lauzerte: Meeting with Marie-Danièle CHABOT-RODRIGUEZ, in the running for the prize PLACE AUX NOUVELLES 2019 for her collection "Tomorrow you'll see" (Editions Les Autanes). In partnership with the Festival Place aux nouvelles. Saturday, April 20, at 15h, at the MEMO: Meeting-dedication with KENT, led by Jean-Antoine LOISEAU, for his latest novel "Peine perdue" (Le Dilettante editions). In partnership with MEMO. 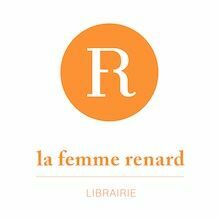 Saturday, April 27, at the Renard Woman: World Book and Copyright Day: INDEPENDENT LIBRARY FESTIVAL.